In a pressure cooker add mutton mince and soaked chana daal. Add whole garam masala, whole red chillis,1pod of peeled and crushed garlic ,bay leaves,one sliced onion,salt and mix well cover it and put it on flame and cook until daal is tender. When the preesure cooker cools down open it, if any water is there dry it up over high flames,then little at a time put in mixer jar n grind it in smooth paste. 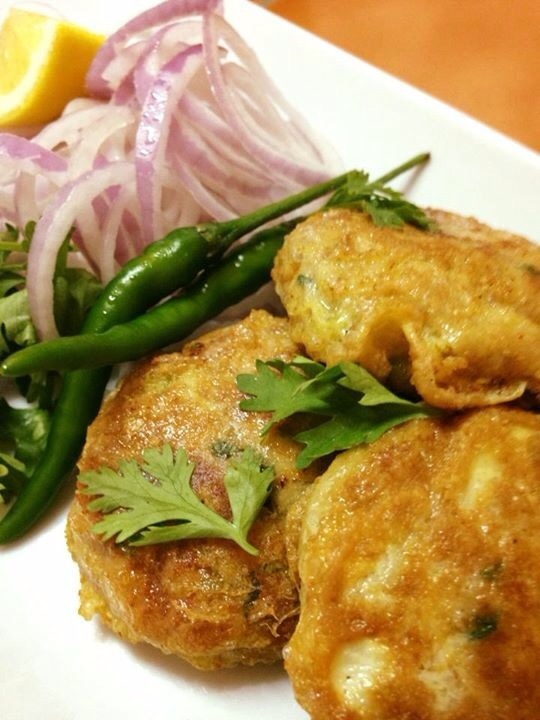 In this kebab mix add chopped onion,chopped green chilies,mint and coriander leaves and mix well. 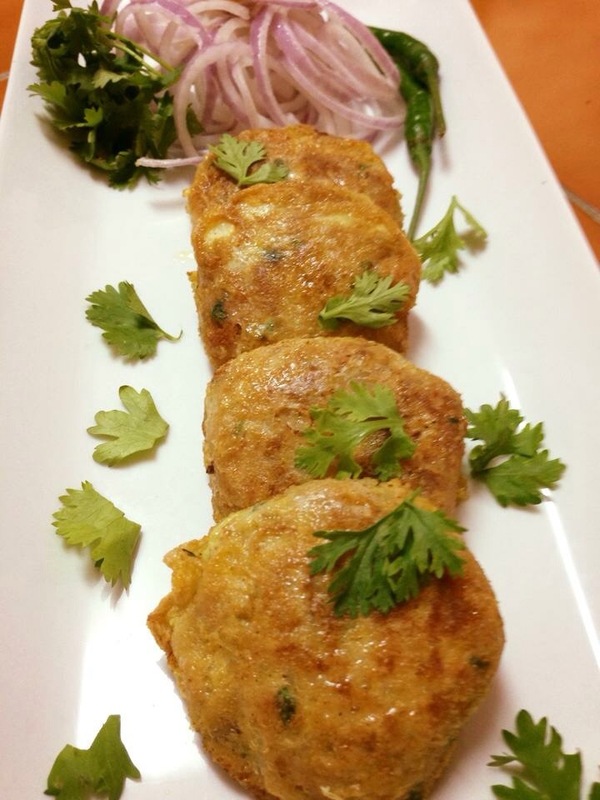 Take a golf ball size portion and make small tikkis, dunk it in beaten egg and shallow fry ..serve hot with parathas,round sliced onion and green chutney.